It all began in 1956 when a new breed of parliamentarians emerged. They were from rural backgrounds and drawn from Ayurvedic physicians and vernacular school teachers. They were committed to the traditional indigenous culture and had little understanding of western institutions like liberal democracy. But now they would have to participate in its working. They soon distorted the functioning of liberal democracy and our democracy became a popular democracy instead of a liberal democracy with checks and balances on the exercise of power. They lacked any administrative experience and did not appreciate the difference between politics and administration- a distinction drawn in the West to demarcate the sphere of the politician from that of the administrator who belonged to a politically neutral permanent public service. The administrators were more educated and more sophisticated in their ways than the rural politicians. The new politicians criticized the bureaucracy not for the red tape and slow methods but their class background calling them "a bamunu kulaya" (a caste of Brahmins). These politicians were elected to the national Legislature and their duty was to be law-givers and not be part of the Executive. The Executive was however drawn from the Legislature and there was little difference between them and the Ministers. No qualification was required to be a Minister except the favor of the Party Leader who would be the Prime Minister. 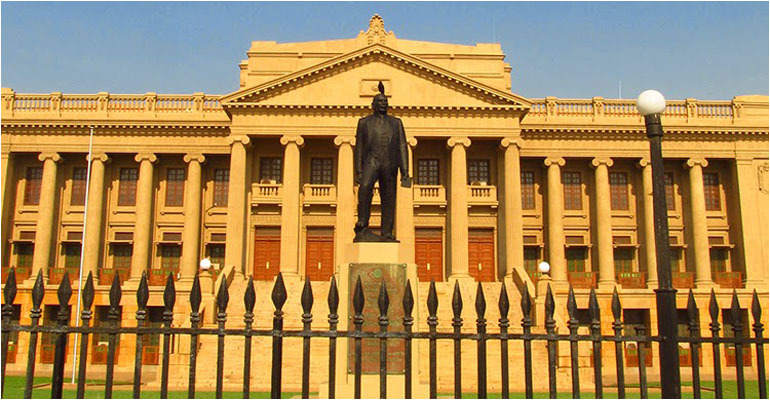 In the Presidential form of government the Ministers are not drawn from the Legislature but appointed from those who have administrative and management experience. The new MPs wanted to exercise power particularly at the level of their electorate. So they intervened on behalf of their constituents with the district administration. Their constituents and political supporters wanted jobs in the government and the public sector which was looked upon as providing job security and pensions for life. Those who were already employed in the government service wanted promotions and transfers. So these politicians interfered in the procedures for promotion and transfers in the public service. So the permanent administrators found it difficult to stick to the laid down procedures for transfers, promotions and discipline in the public administration. The administrators found it difficult to resist these politicians. 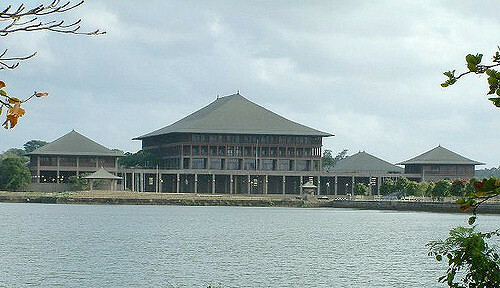 Some administrators themselves cultivated the political influence which was provided by the MPs. *Can there be an efficient administration if there is such interference by outsiders in the day to day decision making *according to laws and regulations? The theorists of Public Administration in the West would clearly say no. They themselves did not face this type of problem. They only faced the problem of politicians seeking to influence appointments and recruitment to the public service. So they isolated the appointments and recruitments to the public service by setting up an Independent ‘Commission’ to lay down recruitment and promotion procedures and monitor their working to ensure they took place on proved merit and seniority rather than political influence. The independent Commission called the ‘Civil Service Commission’ managed to take out the recruitment of staff to the public service from the spoils system. The West did not have the problem of political interference in internal promotions and transfers. The Ministers were expected to supervise the public departments to ensure that they functioned according to law and served the pubic impartially and fairly. They were not expected to interfere in the internal administration of the departments within their purview. Any organization cannot tolerate interference by outsiders in the internal management of such organization. The hierarchical principle required that orders and commands must flow from the top to the bottom layers of the Department following the lines of authority. In the early years since Independence and right up to 1956 there was no flouting of the hierarchical principle. But the MPs and Ministers appointed after 1956 found it useful for them to convey orders to lower levels, listening to tales carried to them by the subordinate employees in the hierarchy such as clerks and peons. The Ministers listened to such tale carrying which is a bane in our society. The late Felix Dias Bandaranaike was the only Minister in my experience who confronted the official with the tale carrier. Hence there was hardly any tale carrying by subordinate officials and employees in the lower rungs against their bosses. The usual allegation was that the superior officer was working for the other political party and against the ruling political party. Tales were concocted and some Ministers believed them and got rid of the officials against whom such allegations were leveled without giving them even a chance to explain their side of the issue. So sudden transfers to outlandish stations was the penalty these officials had to face for doing their duty. Soon the superior officers gave up their duty of supervision of the subordinates and their work and preferred to ignore their transgressions. *So efficiency disappeared* as no organization can act if the superior officers are not allowed to carry out their decisions. They also need to be protected by an independent Commission against those interfering in the internal administrative management of an organization. Last week a newspaper reported that the Chief Minister of the Uva Province distributed the letters of appointment to some new recruits called Development Assistants. He probably wanted to impress on the new recruits that they were being appointed by his favor. Aren’t appointments to the public service a function of the provincial public service Commission? Why then should the Chief Minister distribute letters of appointment to new recruits? In fact the Chief Minister referred to the need for a politically neutral public service on the occasion. Was his action then proper? Of course this practice was adopted by the SLFP which is responsible for all such pernicious practices. But why should the so-called "yaha palanaya" government perpetuate such wrongful practices. 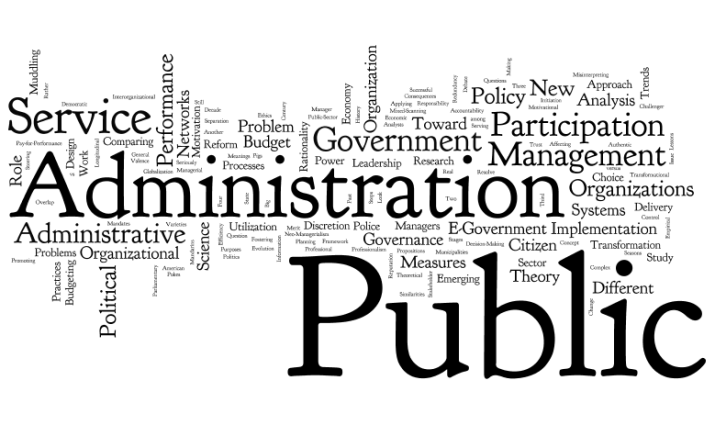 Theorists of Public Administration refer to several principles of Public Administration which must be followed to ensure efficiency. 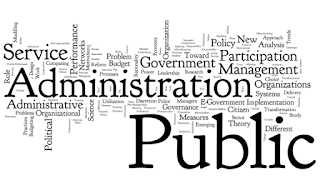 They recognize that Politics and Administration are two distinct categories and that we have to design the agencies of government in such a way as to separate them in order "to get administration out of politics". But when we turn to the actual work of government this is not easy. Public officials exercise discretion which involves the use of judgment. But when officials exercise discretion hey have power. If the politicians are allowed to exercise their influence in an administrator’s decision making it means the administrator is exercising his power on the instructions of the politician. This, to a large extent is what is a happening in our public administration today. But the politician may take a partisan view rather than an objective view of the circumstances. Apart from the need to avoid bias it must be noted that most decisions today are technical and require the consideration of several factors and the administrator may have to select the best or the least harmful decision. *The politicians may want to influence the decision regardless of these technical factors* which may be based on chemistry, medicine, mathematics or some other science. So in such decision processes political influence can be harmful as for example in the effects on the environment. There may be no one to take up the environmental aspects. If the administrator has the freedom to decide without being influenced by the politician he could take a more balanced and objective view. The Nazis and the Communists ran one party states and eliminated liberal democracy. Just because the single party candidate of the Communist Party contested elections the Party claimed it was democratic. There are several principles that should be followed for the efficient functioning of an agency or department. There is the principle of hierarchy, the principle of unity of command, span of control, the principle of co-ordination etc. No subordinate should be placed in a position where he has to follow several superiors violating the principle of hierarchy. Today our public administration is riddled with transgressions of the principles of good public administration. A functioning democracy here liberty of the subject prevails must have a politically neutral public service and politically neutral administrative decision-making, This requires a politically neutral public service appointed on merit and allowed to function without interference by politicians. If not this talk of ‘yaha palanaya’ is mere eyewash. Let the so-called "yaha palanaya " Government practice the principles of good governance without playing lip service to good governance.